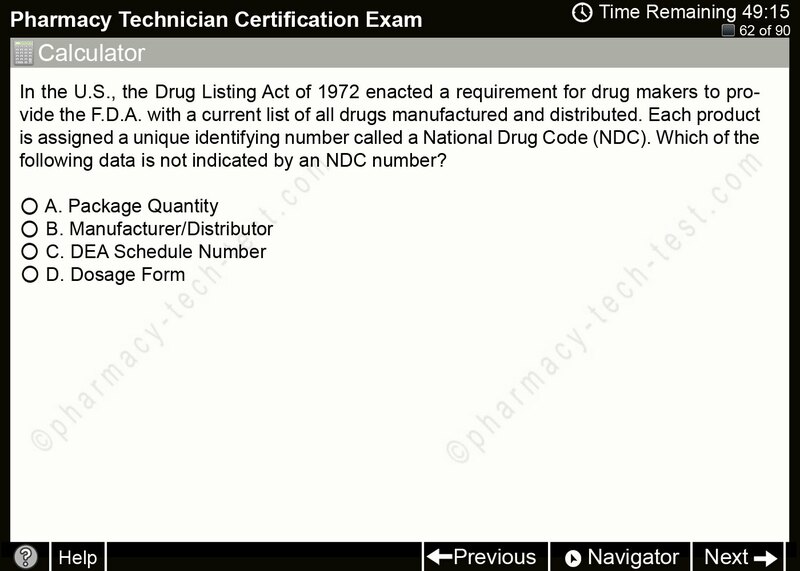 The practice tests have a new format and are now interactive. They are designed to feel almost like you're taking the real certification test. Using research and input from recent test takers, (and possibly a smuggled screenshot...shhh) the new tests have a look and feel similar to the official exam. It's important to practice with the most realistic tools. Mostly 2-3 sentences long, just like the majority of the official exam. Timed to help you develop time awareness and priority. Interactive, with check boxes for your answer choices. Deliver a score report, and show you the questions you missed. Realistic, giving you an advantage on test day. Thanks for using the site! Please tell other Pharm Tech Students. Over the past few years, several websites sprouted up with so-called PTCB practice Tests. Most of the questions on them are one liners, probably recycled from nursing school quizzes left over from the 80's. Pharm Tech students need challenging questions to think about, and complex math problems to struggle through. The PTCB practice Tests here are tougher than average, with the hopes that you'll become mentally stronger and insure you pass the exam the first time.